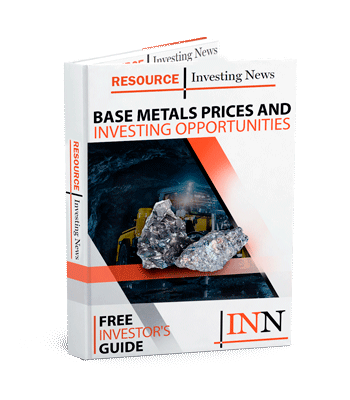 Why Consider Investing in Iron Ore? Wondering if investing in iron ore is a good idea? Here’s a brief overview of the market, including supply and demand dynamics and investing options. Iron is one of the Earth’s most abundant elements, and because of its strength and low cost it has many applications. The metal’s top use by far is in the production of steel. Rocks and minerals from which iron can be economically extracted are called iron ores. These ores are usually rich in iron oxide and come in a range of colors. The iron in such ores is usually found in the form of magnetite or hematite, but can also be found in other forms. Obtaining iron from iron ore is a complex process, and companies that mine iron ore tend to sell the material they mine as it is. Prices for iron ore have suffered in recent years, but some investors remain optimistic about iron ore and wonder how they can enter the market. Read on to learn more about the space and how to start investing in the metal. Australia is the world’s largest producer of iron ore by a long shot. Its output came in at 880 million MT of useable iron ore in 2017, or 545 million MT of iron content, says the US Geological Survey’s most recent report on iron ore. Other large producers of iron ore include Brazil, China and India. Unlike most commodities, the majority of iron ore trades under contracts in which major counterparties negotiate annual changes in prices. In recent years, oversupply paired with lower-than-expected demand from the Chinese steel industry has made things difficult for the industry and has put major downward pressure on prices. In fact, activity in China has traditionally been the key driver of global iron prices, given that it is the world’s largest producer, user and exporter of steel. Along with concerns about a slowdown in Chinese growth, ongoing and seemingly escalating global trade disputes have weighed on iron ore prices. While the iron ore market has been weak for the past year, there is no doubt that there will always be demand for steel as it is used heavily in infrastructure, transportation and manufacturing, and is necessary for economies worldwide to remain productive and function. As the population grows, demand for steel will likely make a comeback and even out the current supply glut. Of course, this equilibrium will also rely on what the big miners do moving forward. Investing in iron ore-producing companies is the main way investors gain iron ore exposure. In recent years, smaller iron ore producers and iron ore exploration companies have struggled to stay afloat due to low prices for the commodity. As a result, investors have gravitated toward the world’s major producers of iron ore, such as Vale (NYSE:VALE), Rio Tinto (ASX:RIO,NYSE:RIO,LSE:RIO), BHP Billiton (ASX:BHP,LSE:BLT,NYSE:BHP) and Fortescue Metals Group (ASX:FMG). For those considering investing in iron ore these large miners may be a good place to start. This is an updated version of an article originally published by the Investing News Network in 2017.